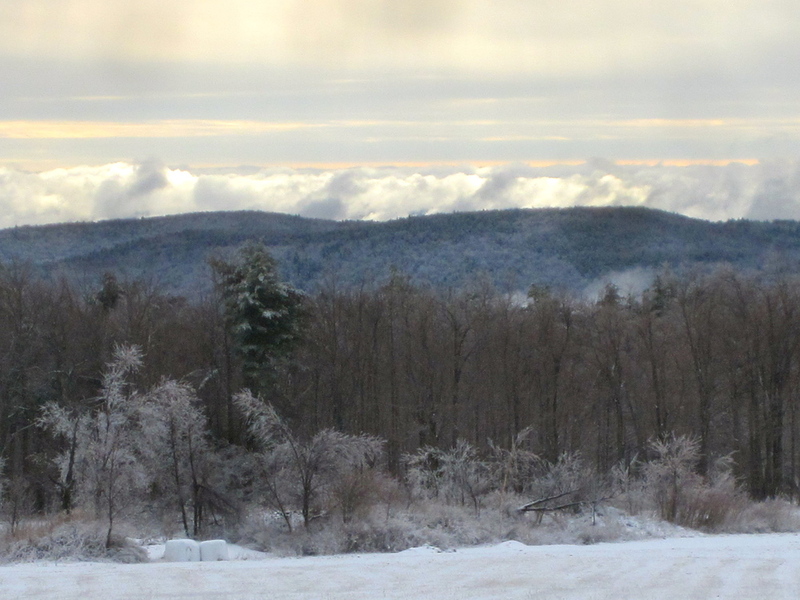 225 acres of glorious open ridgetop. 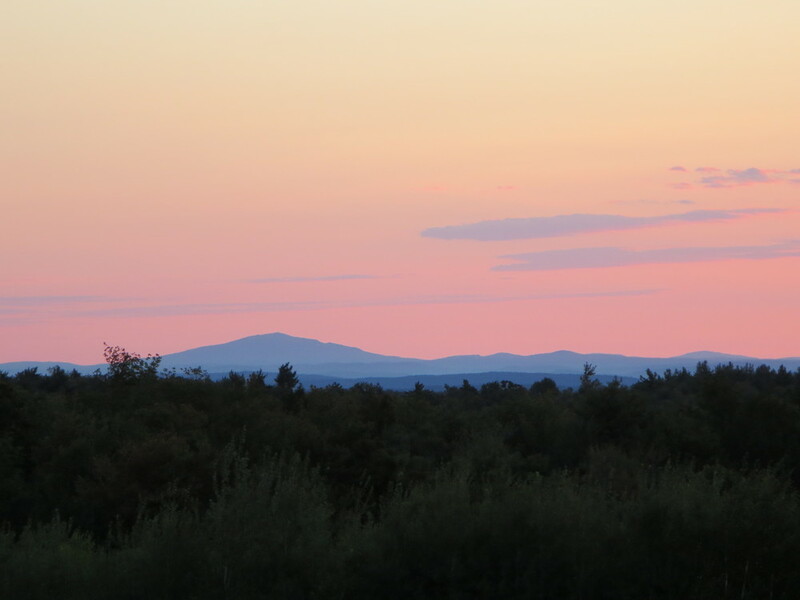 Mount Monadnock keeping silent watch on the eastern horizon, catching the sunrise pink and orange and misty gold every morning. 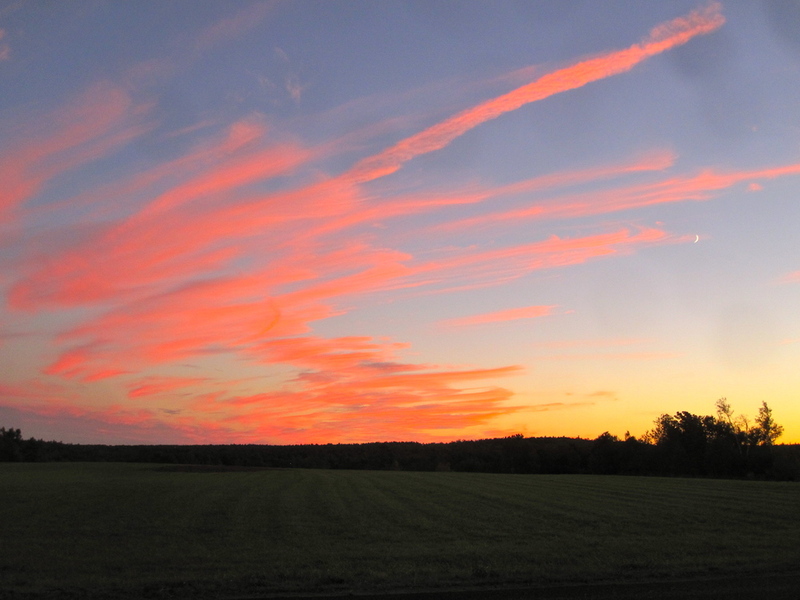 Gently rolling fields of waving grass and a sky that stretches from sunrise to sunset every single day. We’re at 1830 feet - possibly the highest elevation working farm in the whole state. 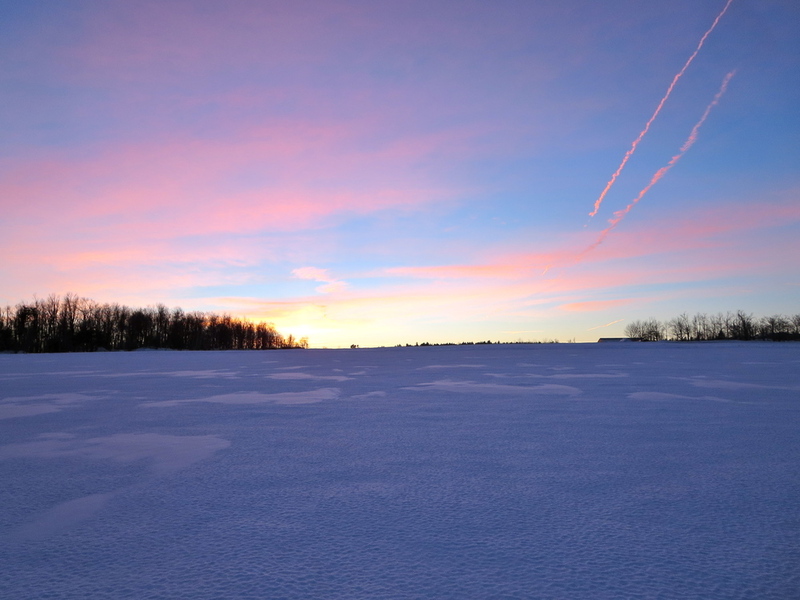 This is our little piece of big sky country, where we are blessed to live and farm and make delicious yogurt. 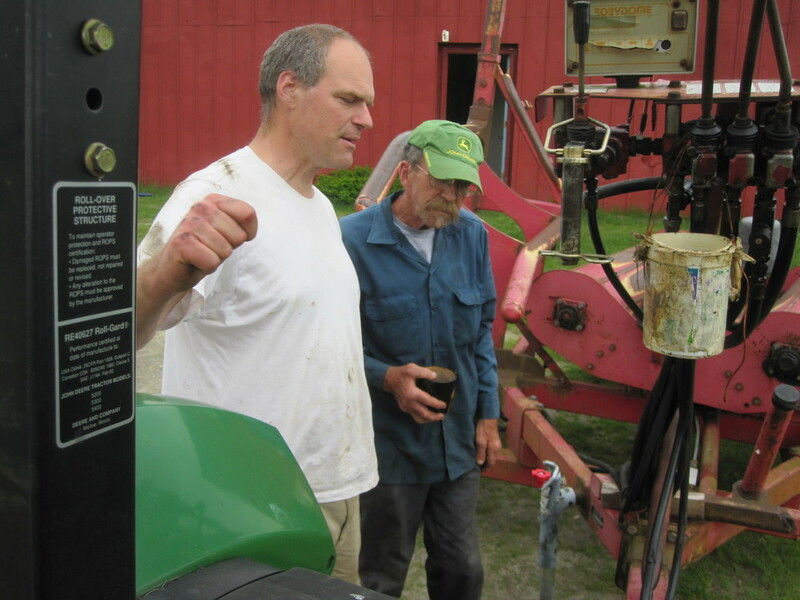 After six years of leasing farmland from nearly 14 different landowners, milking in a parlor with state-of-the-art 1950s technology, making yogurt in a creamery the size of most people’s guest bathroom, thawing frozen outdoor water lines, and and cutting hay around every wet hole, rock, and tree stump in the town of Ashfield, we finally arrived, here on Forget Road in Hawley, at this magnificent farm. Such sky we don't see often in our Hilltowns – but this is sky where the day is two hours longer than you thought it was. 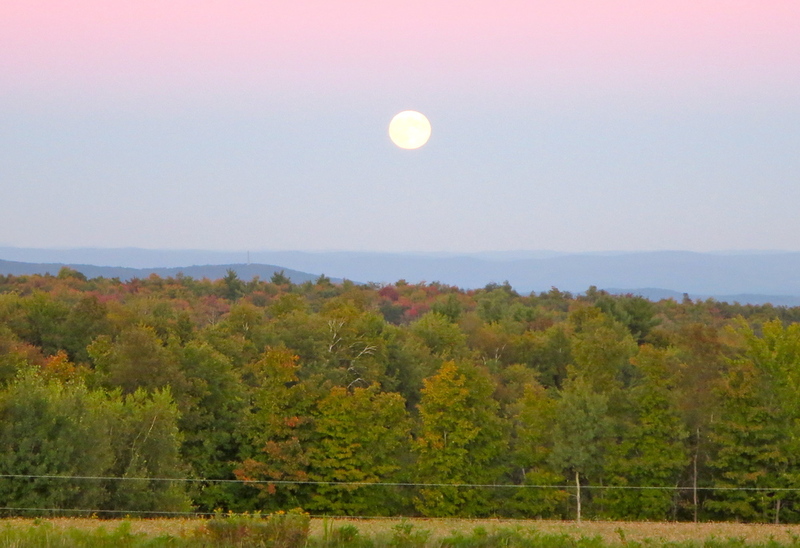 You can bale hay by moonlight. The frogs sing from the pond to keep you company in those late hours, filling that starry sky with their songs that by day are drowned by birds. And different birds! Not our familiar treetop songbirds, but grassland birds swooping behind the tractors, snatching insects from the windrows of hay - bobolinks, barn swallows, redwing blackbirds, killdeer. Ivy and his wife Cinni took over from Ivy’s father in 1987, and beginning with 200 lbs of seed, gradually converted the entire farm to organic production. The potatoes were packed on pallets, and Ivy would drive his old 1960s International semi and trailer down to Bread and Circus in Hadley, where he would meet the trucks that brought Donovans Organic Potatoes to Bread and Circus stores as far away as New Jersey. 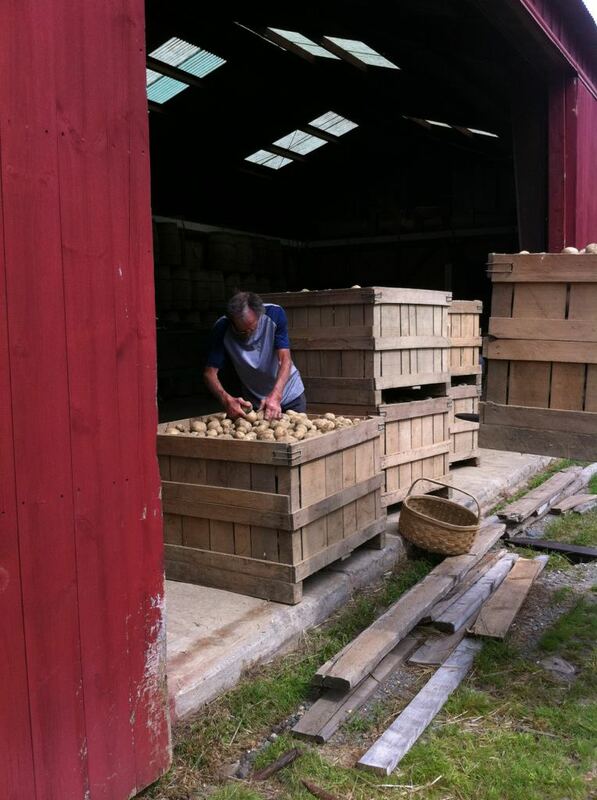 For a short period, the Donovans even produced their own Rocky Row potato chips right here on the farm! Ivy always rotated his potato crops with hay, to reduce erosion, and help rebuild fertility. 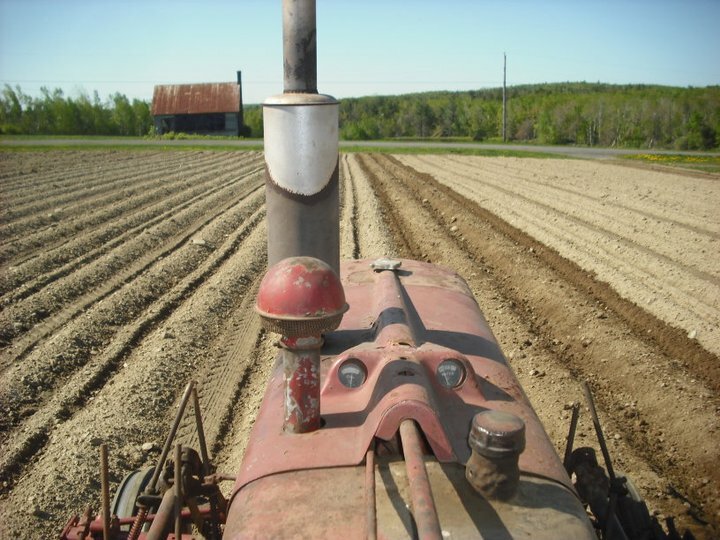 As he moved closer to retirement, fewer and fewer acres were tilled for potatoes each year, and more land went into hay. By the time we took over the farm in 2012, only 4 acres were still in potatoes, and the vast majority of the acreage had been returned to grass, making it a perfect farm to convert to a grass-based dairy. Well Ivy, we’ll give it our best. We have so many things for which to be grateful. That Ivy and Cinni have cared for this land with their hearts and souls and all the wisdom of the farmers that came before them. That the relief from the responsibilities of farming are as exciting to them, as the possibilities of that same responsibility seem to us. That they have honored us with the faith that we will do right by this amazing farm. And to our great, great pleasure, that they have chosen to build a retirement house right next door so we will remain neighbors. And so, up here at 1830 feet of elevation, on a road somehow appropriately named “Forget”, we graze our cows, and make our yogurt, and watch the sun rise and set, rise and set. It’s beautiful. You should come visit.